Okay, we are now two weeks into this lovely new year of 2018, and I would love to know just how many people have managed to successfully keep all those resolutions that were so earnestly made (whilst probably pie-eyed) in the festive season. Because let’s be honest in the coldest, darkest, dreariest month of the year whose great idea was it to create a list of things that we must do to better ourselves?! I mean really, take dry January for example. Could this come at a worse time of year? Just the thought of a booze-free, cold January makes me reach for the gin (mine’s a double, obviously). So it is hardly a surprise that January is the busiest month for travel agencies and tour operators up and down the UK. It is the perfect month to put on your woolly socks, sit by the fire and dream up the most exotic (and warm) summer holidays. And here’s the fun bit: how about combining the two and turning your new year’s resolutions into holidays? Or (shudder) making your holidays healthy? If you promised yourself you would practise more yoga this year – book that retreat, if you pledged to walk a bit more every day – book that walking holiday or at least one hike on your next vacation – or if you decided 2018 was the year to learn something – take sailing lessons abroad or sign up to a week’s language course. Holiday planning + new year’s resolution keeping = happy January! Our favourite wellness-focused hotel, Navutu Dreams in Siem Reap is offering some amazing detox packages this year – they have a whole range from just two nights to a full week as well as tailor-made detox programmes if you have specific needs. Navutu Dreams’ Detox for the Mind program is a combination of breathwork, crystal bowl sound healing and thought form releases alongside a variety of yoga classes and health consultations founded in Traditional Chinese Medicine to help you restore your body and bring peace to your mind. Set in lush tropical gardens, a short tuk-tuk journey away from Angkor Wat and the surrounding ancient temples that were left hidden in the jungle for generations, Siem Reap is the perfect place for some R&R. If detox sounds a bit heavy but you like the idea of exploring Cambodia with a wellness angle, take a peek at my Holistic Holiday here. Climbing Southeast Asia’s tallest mountain, Mount Kinabalu, is an epic way to get yourself moving. The overnight hike goes from 1,866 meters to 4,095 and watching the sunrise above the clouds is a sight you won’t soon forget. When you come down, head straight to the luxurious Gaya Island Resort where you can look back at the mountain and pat yourself on the back for making it to the summit. Our favourite place to stay on Gaya Island, the resort offers daily yoga classes and other wellness offerings such as meditation classes and a daily session that incorporates qi gong, breathing techniques, and stretching designed to calm the mind and rejuvenate the spirit. With ocean views and the rustle of wind in the palm trees to accompany you, it’s hard not to walk away feeling centred and energized. Spend your days on the beach, snorkeling in the South China Sea, walking through the jungle with one of the in-house guides, or being pampered in the beautiful Spa Village. We’ve got access to special offers such as a free couples massage if you stay for three nights in the beautiful Kinabalu villas (ideal for looking back at what you just mastered). An ideal way to unwind after climbing the sacred mountain! See more info on planning Borneo holidays here. 2018 is the year for glamping in Cambodia – fabulous luxury tents have sprung up across the country like these floating tents near Koh Kong and this posh tented camp in the Cardamom Forest. A few days glamping and hiking in the more remote Cambodia jungle is the perfect contrast to temple sightseeing in Angkor and beach lazing on one of the pretty islands off the south coast. In fact, I am heading here myself in April (with my mother in tow!) for two days hiking in the Cardamom jungle – local guides will be taking us through the jungle, through a network of abandoned poaching and logging trails through the dense forest. Wildlife is now returning and the fauna variety is meant to be amazing. I am counting down the days! Wellness might not be the Philippines’ claim to fame and if you’re going all that way, you’ll want to see some of those gorgeous limestone cliffs, turquoise waters, and fine white sand beaches. Here’s how to get all that in without missing a daily yoga workout. Start by getting off the beaten track at Al Faro on the island of Coron. Built atop a hill, you’ll get a workout each time you head down to the ocean. With daily yoga classes, gorgeous ocean views, and a wealth of eco-friendly practices in place, this is the ideal place to ease into being on holiday and get a sense of the “real” Philippines. To up your game on the wellness front and sink your toes into fine white sand on one of the most beautiful beaches in the world, Mandala Spa & Resort Villas on the island of Boracay can’t be beat. 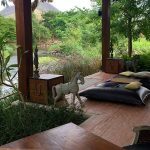 Daily yoga classes are a given and the team can personalize a full wellness program with a gourmet raw food menu, spa and massage treatments, and individual yoga classes. The white sand beach is just a few minutes walk from this secluded garden resort where you can choose a digital detox villa to really switch off. For more info on planning Philippines holidays click here. Did you know that rock climbing is all the rage in Halong Bay or that Mui Ne is one of the best places to kite surf in south-east Asia? Or that Vietnam has some of the world’s longest and deepest caves and you can hike, kayak and swim through them (or even camp in them)? Most people do the ‘norm’ in Vietnam – take leisurely cruises through Halong Bay, soak up the rays on the beach in Mui Ne and skip the cave region of Phong Nha altogether but if you want to make 2018 a bit different then let’s start by making your holiday a bit different too. Click here for more details on Vietnam holidays that are a little bit different! We hope that gives you some inspiration of how to make those pesky resolutions a little bit more fun… after all when there’s the tropical sun, swimming pool and beckoning ocean involved it all seems a little bit easier. If you would like to contact us for more details on these trips (after all this is our day job!) just drop us an email or leave us a message below, or take a peek at our tailor-made travel company page. Delia Monk puts together boutique and luxury holidays in Vietnam, Cambodia, Myanmar & Laos… when she’s not hanging out of a train window with her camera, that is. 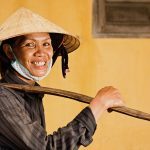 This site is full of her top tips, insider insights and ‘behind the scenes’ tales from South-East Asia. best restaurant in gaya on What’s the best hotel on Gaya Island?